Sonoma Technology, Inc. (STI) provides innovative, science-based solutions for clients’ air-quality and meteorological needs, worldwide. Our integrated teams of atmospheric scientists, engineers, and programmers deliver products, services, and measurements tailored to meet each client’s unique needs. We are dedicated to clearly conveying relevant information to enable informed decisions by government and industry about air-quality issues. We have extensive experience designing, managing, and operating air quality and meteorological monitoring networks throughout the United States and abroad. 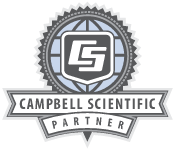 We have relied on Campbell Scientific dataloggers for three decades to perform air quality and meteorological measurements on fixed and various mobile platforms (boats, trailers, aircraft, and balloons). STI automatically acquires, stores, and displays air-quality and meteorological data, including meta data, to support effective measurement programs. Our real-time data displays on the Internet enable site operators and clients to review operations, evaluate individual monitor characteristics, identify problems, and plan and prioritize their activities.